Aging is characterized by development of diseases and cancer due to loss of central and peripheral neuroendocrine-immune responses. Free radicals exert deleterious effects on neural-immune functions in the brain, heart, and lymphoid organs and thus, affecting the health. Bacopa monnieri (brahmi), an Ayurvedic herb, and l-deprenyl, a monoamine oxidase-B inhibitor, have been widely used in the treatment of neurodegenerative diseases. The purpose of this study was to investigate whether brahmi (10 and 40 mg/kg BW) and deprenyl (1 and 2.5 mg/kg BW) treatment of 3-month old female Wistar rats for 10 days can modulate the activities of antioxidant enzymes [superoxide dismutase (SOD), catalase (CAT), and glutathione peroxidase (GPx)] in the brain and spleen. In addition, the effects of these compounds on the expression of tyrosine hydroxylase (TH), nerve growth factor (NGF), the intracellular signaling markers, p-ERK1/2, p-CREB, and p-NF-kB, and nitric oxide (NO) production were measured in the spleen by Western blot analysis. Both brahmi and deprenyl enhanced CAT activity, and p-TH, NGF, and p-NF-kB expression in the spleen. However, deprenyl alone was found to enhance the p-ERK1/2 and p-CREB expression in the spleen. The activities of SOD, CAT, and GPx in the thymus, mesenteric lymph nodes, heart, and brain areas (frontal cortex, medial basal hypothalamus, striatum, and hippocampus) were differentially altered by brahmi and deprenyl. Brahmi alone enhanced NO production in the spleen. 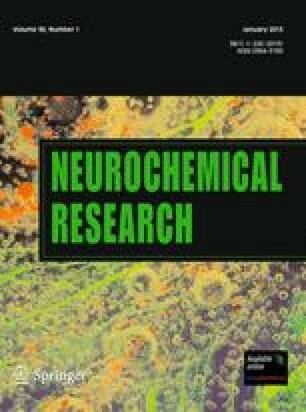 Taken together, these results suggest that both brahmi and deprenyl can protect the central and peripheral neuronal systems through their unique effects on the antioxidant enzyme activities and intracellular signaling pathways. Supported by the Department of Science and Technology (F. NO. SR/SO/HS-46/2007), Government of India, New Delhi.